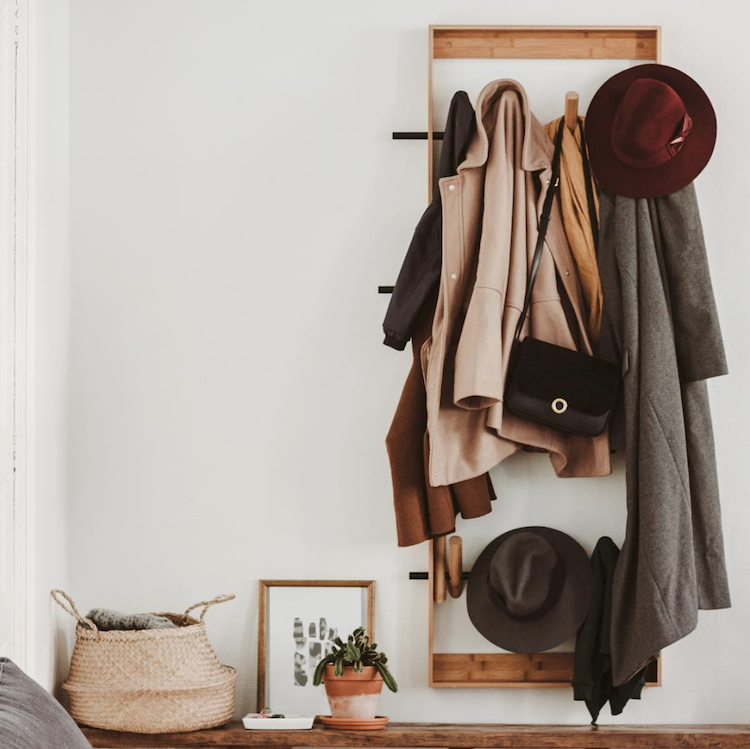 When I search for beautiful spaces to share I often end up down a rabbit hole leading to a warren of new places – and yesterday (during my hunt for ten beautiful hallways) – I stumbled across Yasmine’s wonderful home. I discovered that when Yasmine isn’t working as a freelance community manager for Instagram, she’s sharing her passion for decor, fashion, and travel as well as special moments in life on her blog Bonjour la Smala. Her house in Toulouse, France is a fine example of her unique creative streak and love of the arts. 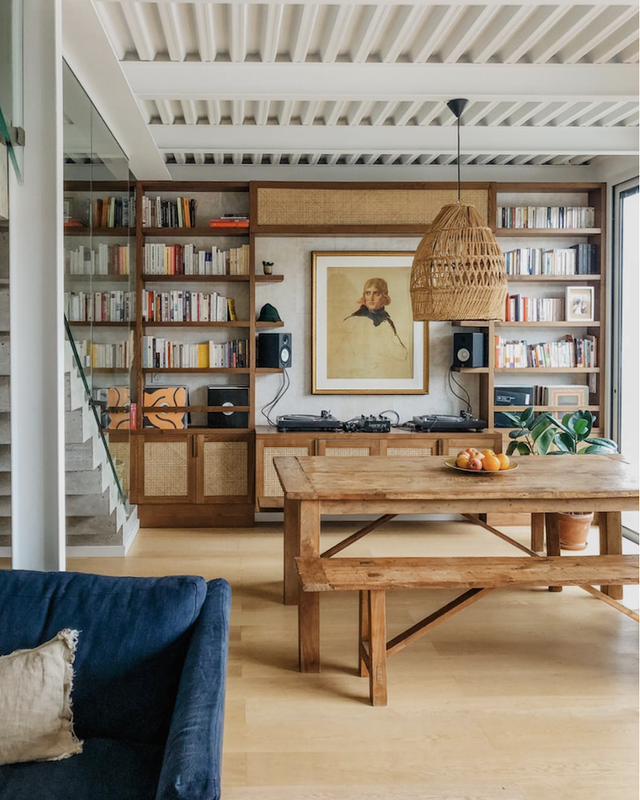 The family home is full of books, toys and art and earthy brown and caramel tones can be seen throughout – making it a truly warm and inviting space, and somewhere the entire family, including children Aymar and Jules, can relax and let their imaginations roam free. Cane furniture is set to be a big trend in 2019. I’ve loved it ever since I was a child – my Grandmother lived in India in her thirties and brought back a lot of the cane furniture with when she returned to the UK. I have never seen an incredible unit like this one by Celine Herve though, have you? 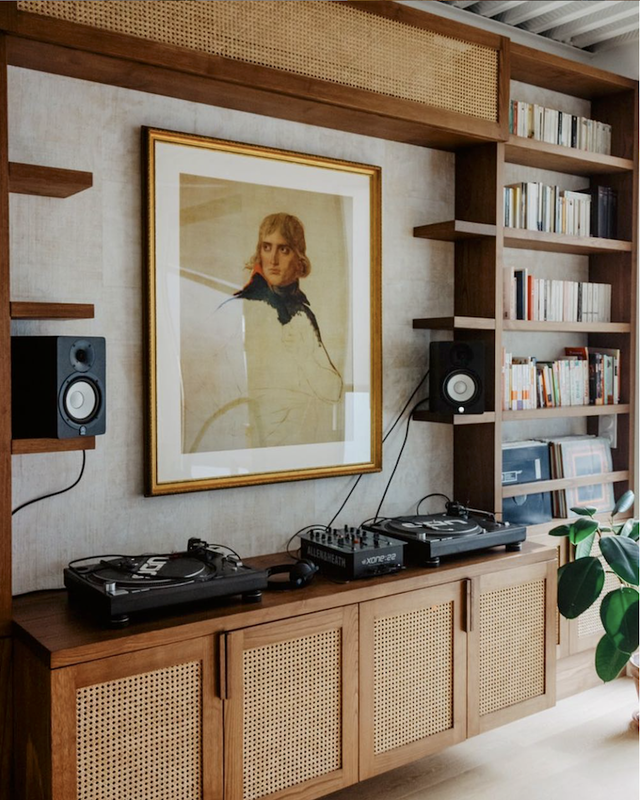 I love how the guy in the picture looks like he’s spinning some tunes! 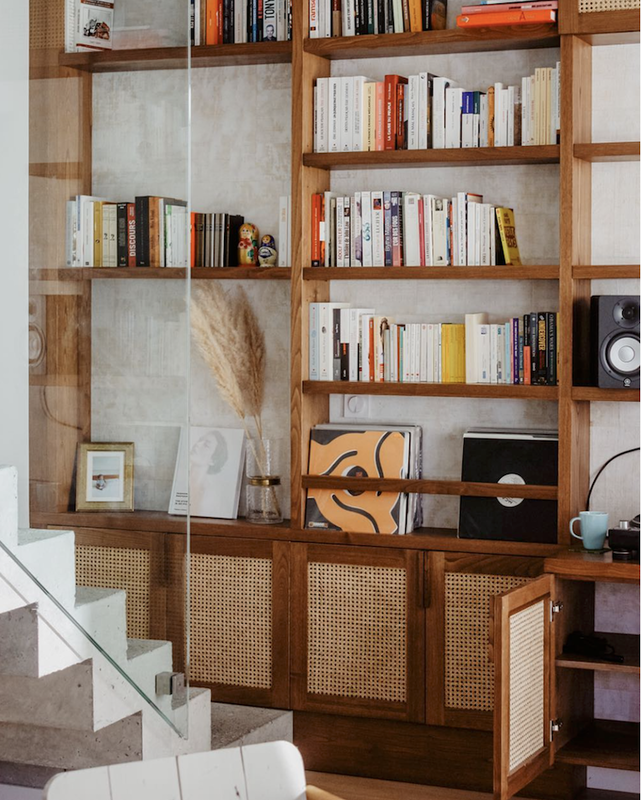 „A house without books, is like a room without windows.” So said Horace Mann, and when you see this space you can really see how much soul they add to a room. 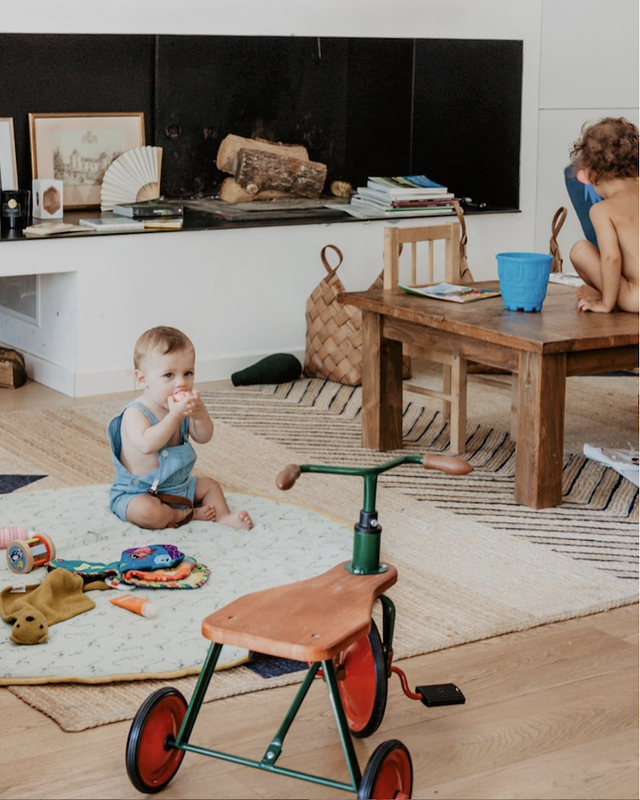 The open-plan floor nature of the space means the whole family can hang out and yet still be doing their own things – whether playing some records, reading or speeding around on a trike! The addition of a little children’s chair is perfect for helping the coffee table to double up as a desk! 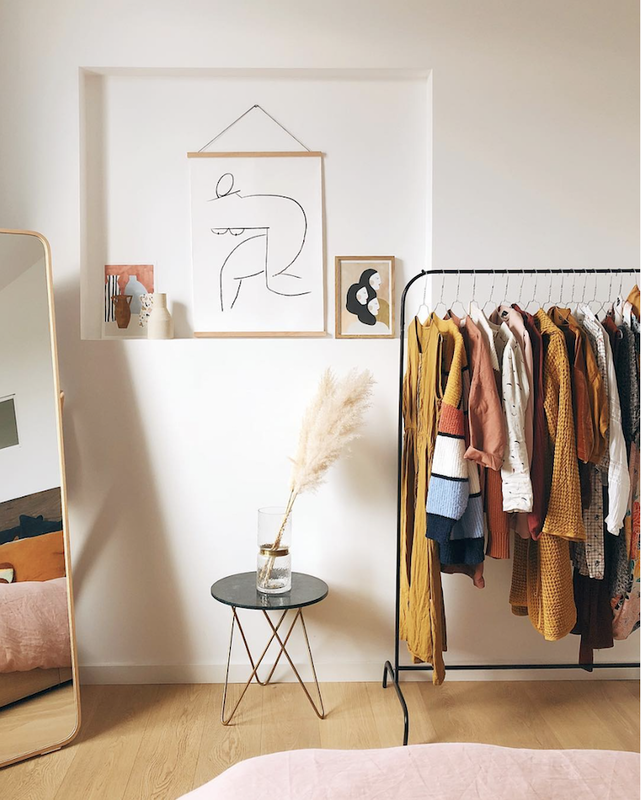 Yasmine’s bedroom is usually relaxed with open storage for items she wears regularly (I love her style- she regularly posts picture of her clothes on IG – I’ll be following closely from now on!). 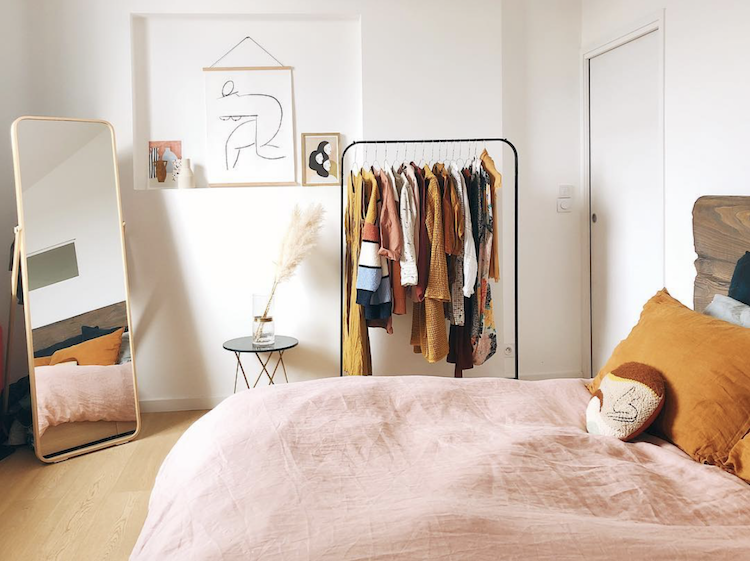 Ikornnes mirror, dusty pink duvet cover*, mustard gold pillowcases*, larger artwork by Femke Colaris, smaller art to the right: Sisters Illustration by Depreapa (love this one!!). 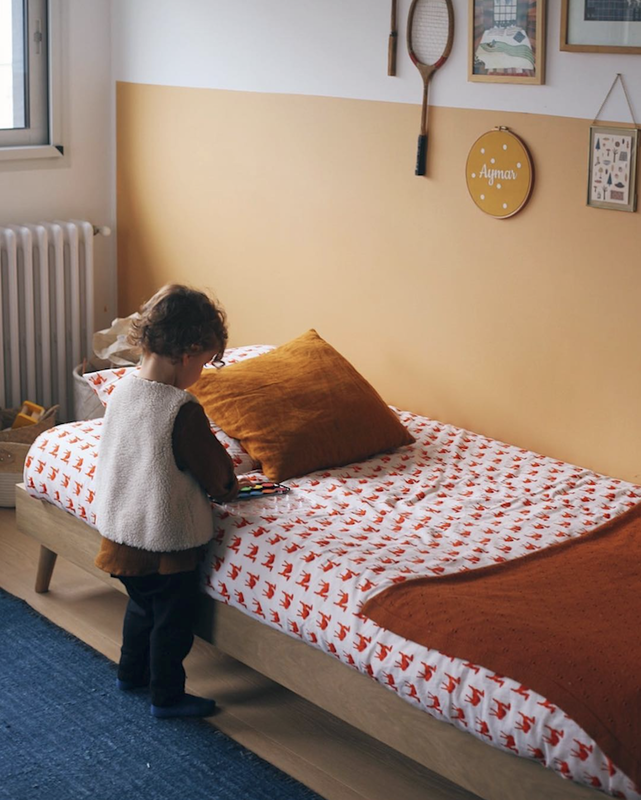 How pretty is the baby deer reversible quilt in this little bedroom? It adds so much to the space. I went for a snoop and found the online shop does a whole load of pretty thing prints! Be still my beating heart! Isn’t this such a charming, warm and inviting home?! It really feels like it’s been created from the heart. 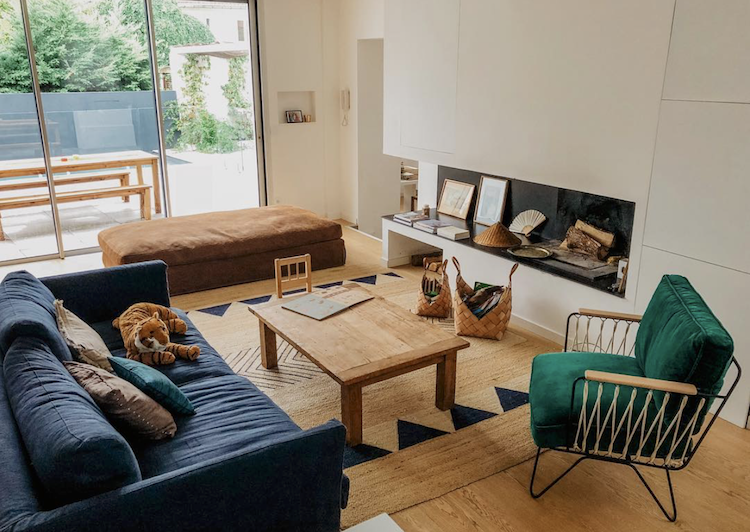 You can see more pics of Yasmine’s home, fashion and travel – as well as special moments in her life over on instagram @bonjourlasmala (such an inspiring account!) and blog Bonjour la Smala. I really didn’t intend for this to be a French phase on the blog (this is the third space in seven days! ), but when the places are this beautiful who can blame me?! By the way, I’m always open to requests, so if there is anything you’d love to see or want to know more about let me know and I’ll do my best to create a post around it! In the meantime, I’ll love you and leave you with this archive full of bohemian homes (if this home crops up first, just scroll on past!). Enjoy! Happy hump day! (Yup, still not used to that phrase… just doesn’t ring right when you’re from England! Anyone else feel the same?! ).